Dodge Wasmund will machine parts to your drawing, sketch or a sample (if provided). We will provide material certifications to meet most requirements whether aerospace or commercial. Our capabilities allow us to produce parts from .030" to 50.000" in diameter depending on the type of part. We also specialize in short run, small to medium quantities. Our line minimums are very competitive. We can also produce large quantity production runs. 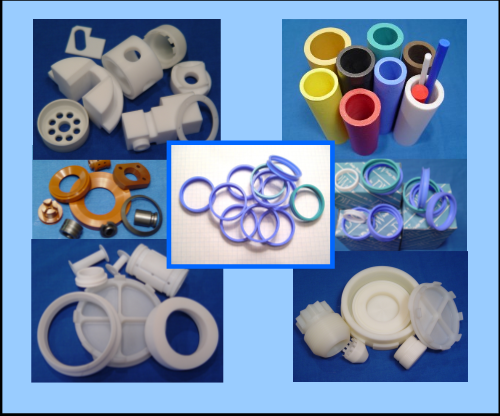 We mold most of our PTFE in house which allows us to offer better lead-times and cost savings to our customers. When we do use vendor supplied materials, we use only carefully screened and approved suppliers. Those raw material suppliers meet the most rigid industry quality standards.